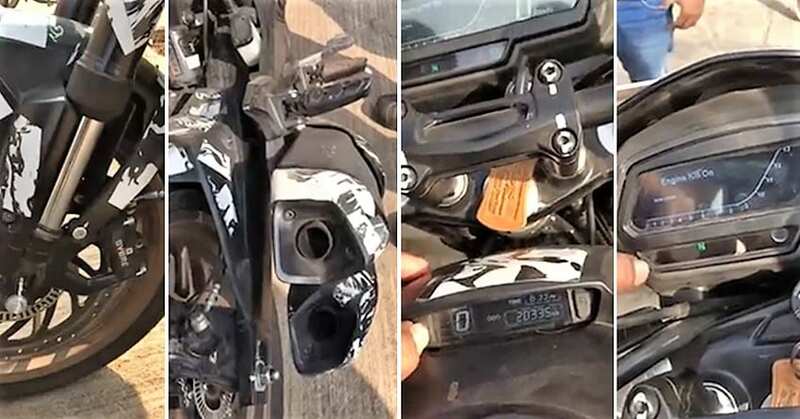 Next-Gen Bajaj Dominar 400 is detailed here in a walkaround video, clearly showing the changes that buyers were expecting from the motorcycle from a long time. Above all other speculations, the motorcycle here looks almost similar to the Pulsar CS400 concept, getting familiar USD forks. The image seen earlier came in the red shade while the walkaround video here shows camouflage over the body. The thick forks are finished in the black shade, further getting a slightly different front fender from the version currently available in all markets. The double barrel exhaust sounds better, and the design seems to be inspired from the unit seen on Kawasaki Z1000. The front disc brake has moved to the left side, with most fans expecting a better braking system for safe long distance rides. It seems like they are also making space for the main stand as the new exhaust design frees some space from the lowermost section. Some other expected changes on the motorcycle include a slightly longer pillion seat, revised handlebar, larger radiator, and a different leg guard. 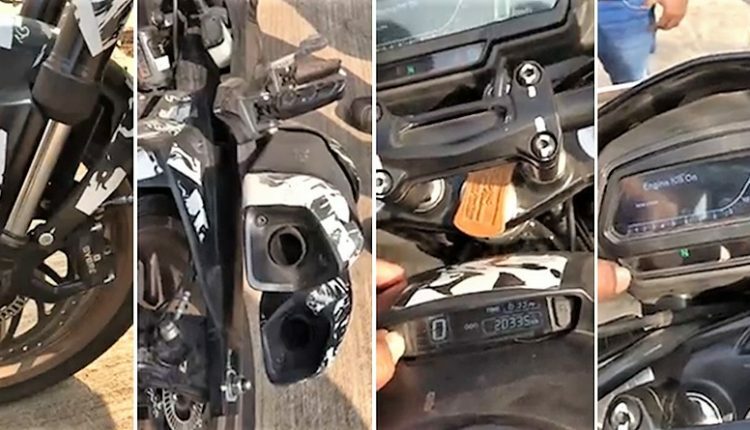 Bajaj may reuse the black and chrome alloy wheel combination to make the black USD forks feel comfortable while the recent video shows the golden finished forks. Bajaj Dominar 400 is currently available for INR 1.63 lakh for the only available ABS version. The list of changes will take the price up by a decent margin. The government’s order of retailing just ABS equipped model after March 31, 2019, forced them to discontinue the non-ABS version in advance. The effective price for this model will be somewhere around INR 1.79 lakh, with Bajaj having an option to absorb some of the value and getting an introductory INR 1.69 lakh price tag. 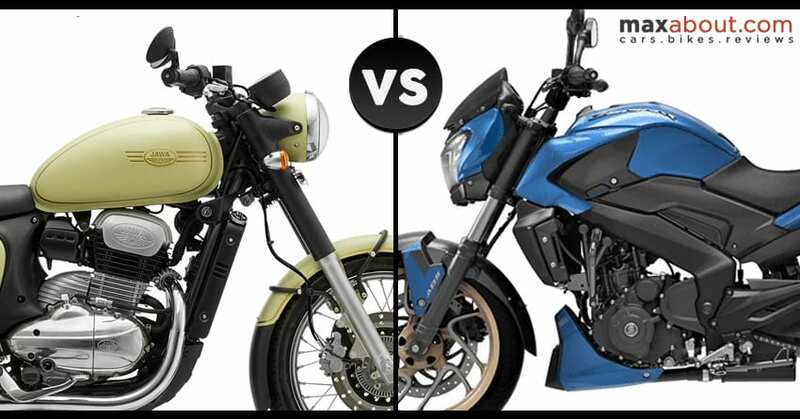 The added features will list Dominar as a more premium option, rivalling none other than KTM 390 Duke and BMW G310R. As per the latest update, Bajaj will launch the 2019 model this month, and the bookings are unofficially open for INR 10,000 at some of the dealerships.